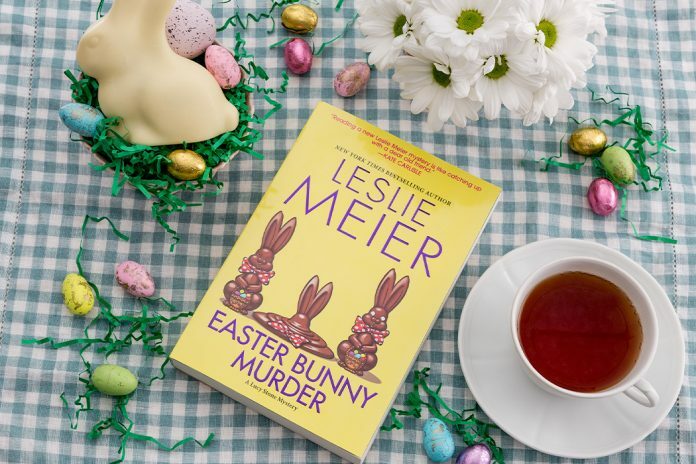 In Leslie Meier’s Easter Bunny Murder of the bestselling Lucy Stone Mystery series, Lucy–a part-time reporter, mother of four, and amateur sleuth–chases down hidden truths to solve crimes in the small town of Tinker Cove, Maine. Hot cross buns are a traditional Lenten treat, but Lucy Stone always hates the way the sugary icing melts when she warms them up in the oven. When she visited England, however, she discovered that they make the cross with a floury paste. English buns are also heartier than the American supermarket variety and, if you make them, they’re a good way to use up the candied fruits left over from your Christmas pudding. Warm ½ cup milk in small saucepan and set aside. Sift flour into large bowl; stir in sugar and spices. Rub the butter into the mixture until it resembles fine crumbs. Mix in yeast, then fruit. Make a well in the center and stir in the egg and enough heated milk to form a soft dough that isn’t too sticky. Turn dough onto a lightly floured surface and knead until smooth and elastic. Lightly oil a baking sheet. Turn risen dough onto a lightly floured work surface, knead for a minute, then divide into 6 equal pieces, each shaped into a neat ball. Set on baking sheet and cover with plastic wrap. Set aside until dough is puffy, around 45 minutes. To make the pastry crosses: Sift all-purpose flour into small bowl, rub in butter until mixture forms fine crumbs, mix in sugar, and stir in 1 Tbsp. cold water to make a firm dough. Turn the dough onto a lightly floured surface and roll into a 2 by 8 inch rectangle. Cut into 12 strips, each 4 inches long and ¼ inch wide. For each bun, brush 2 strips with a little water and arrange wet side down in a cross on top of the bun. Bake until golden brown, about 15 minutes. To make the glaze: Combine milk and sugar in small saucepan and cook over low heat until sugar is dissolved, about 5 minutes. Raise heat to high and boil vigorously for 30 seconds until glaze becomes syrupy. When buns are done, transfer to a wire rack set on wax paper and brush with hot glaze. 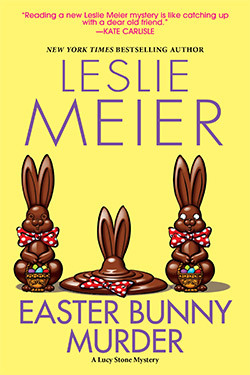 Get your copy of EASTER BUNNY MURDER by Leslie Meier HERE! 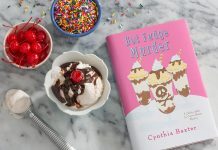 Leslie Meier  is a  New York Times  bestselling author of over twenty Lucy Stone mysteries and has also written for  Ellery Queen’s Mystery Magazine. 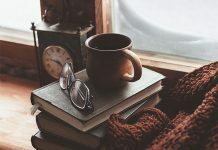 She is currently at work on the next Lucy Stone mystery. Readers can visit her website at  LeslieMeierBooks.com. 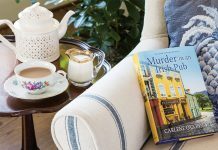 I love the cozy mysteries. Always have at least 1 or 2 on the go.